High performance bits with multiple diamond-ground carbide tips. 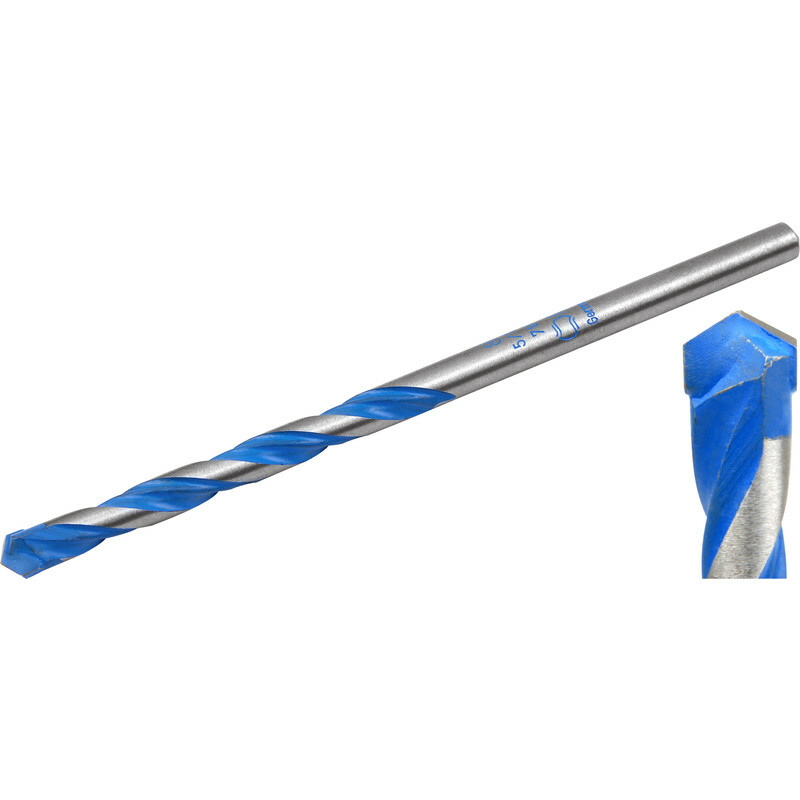 Bosch Multi Construction TCT Drill Bit 10.0 x 120 is rated 4.9 out of 5 by 66. Rated 5 out of 5 by McDubh from Very effective bit I used this masonry bit to attach a 100mm wide post to a wall on to which I hung a garden gate. The drill cut through the brickwork like butter so very pleased. My only fault was that after fitting the bit into my drill chuck it only protruded 100mm which wasn't enough to mark the wall through the post where I wanted to drill. I got around the problem but a longer bit would have been easier. Rated 5 out of 5 by Ianterry from Excellent drill bit at a great price This range of bits really does cut through all materials. It's a bit slow on wood but makes a good job of brick and concrete. Rated 5 out of 5 by GeorgieS from Good compromise, and good of type Multifunction drills do not provide the best performance for any single material. However, they are ideal when you are drilling through wood into concrete and for coated steels. These Bosch drills are as good as any multifunction drill I have tried. As with most TCT drills it pays to keep the drill rotating when retracting and to watch out that you do not pull the tip off. Rated 5 out of 5 by GeorgieS from Great compromise Multifunction drills do not provide the best performance for any single material. However, they are ideal when you are drilling through wood into concrete and for coated steels. These Bosch drills are as good as any multifunction drill I have tried. As with most TCT drills it pays to keep the drill rotating when retracting and to watch out that you do not pull the tip off. Rated 5 out of 5 by EssexPaul from Quality drill bits These drill bits are the best I've tried when it comes to masonry. They are fast and accurate and last much long than many others. Rated 5 out of 5 by Nelson69 from Good product. I have bought this to use in the near future.